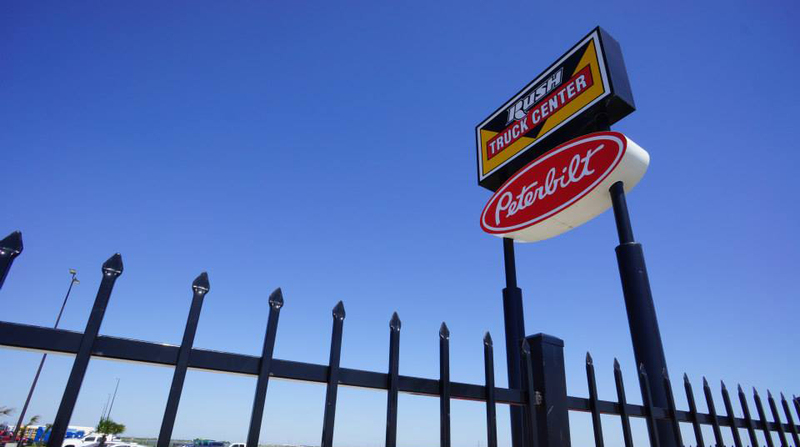 National truck dealership Rush Enterprises Inc. reported strong gains in net income and record-setting first-quarter revenue amid a strong economy and ongoing strategic initiatives. For the period ended March 31, Rush achieved net income of $21 million, or 51 cents per diluted share, on revenue of $1.241 billion, compared with net income of $14.5 million, or 36 cents, on revenue of $1.045 billion in the year-earlier quarter. The San Antonio-based company’s earnings statement pointed to its aftermarket initiatives as significantly contributing to its strong start to 2018. Aftermarket products and services accounted for about 64% of the company’s total gross profit in the first quarter of 2018, with parts, service and body shop revenues reaching $400.3 million, up 14.3%, compared with the first quarter of 2017. “Our aftermarket results were bolstered by widespread activity throughout the country, notably in general freight, energy, refuse and construction,” W.M. “Rusty” Rush, chairman and CEO of Rush Enterprises, said in a statement. He said the company continues to make significant progress in growing its all-makes parts business through its expanded sales organization, and improved inventory sourcing and management processes, among other factors. “We were able to improve these parts and service results despite there being fewer International trucks in operation due to Navistar’s depressed market share over the past several years. We expect our aftermarket results will remain strong to the rest of the year,” Rush said during an earnings call with analysts. Navistar Inc. is the parent company of the International brand of trucks. One analyst also forecast stronger growth ahead. “Overall, we expect Rush’s highly profitable parts and service businesses — 65% of total company gross profit in 2017 and 31% of total sales — to increase an additional 11% in 2018 following growth of 10% in 2017 and a decline of nearly 4% in 2016,” Neil Frohnapple, director of equity research for The Buckingham Research Group, wrote in a report to investors. U.S. Class 8 retail truck sales were 51,690 units in the first quarter, up 36% over the same time period last year, according to ACT Research. Rush reported it sold 3,312 Class 8 trucks in the first quarter, an increase of 22% compared with the first quarter of 2017, and accounted for 6.4% of the U.S. Class 8 truck market. ACT Research forecasts U.S. retail sales for Class 8 vehicles to be 254,000 units in 2018, a 29% increase compared with 2017. “We expect our Class 8 vehicle sales in the second quarter to be fairly consistent with the first quarter and to accelerate in the second half of the year,” Rush said. Rush operates about 100 dealership locations in 21 states.